SIPTU MEMBERS IN Aer Lingus are extremely concerned about reports of CCTV cameras being installed due to the “millions of Euro” worth of missing stock. Reacting to reports in the Sunday Independent newspaper, that the airline is rolling out CCTV cameras across Dublin Airport and hiring private security to carry out random patrols of staff areas, union reps said they will be making direct contact with Aer Lingus management today. It said it will seek an immediate meeting with the airline’s Chief Executive Officer, Stephen Kavanagh, to discuss the matters raised in the article. An Aer Lingus spokeswoman told the newspaper the airline fully engaged with union representatives on issues including the roll-out of CCTV cameras and random patrols. A statement on behalf of the airline to TheJournal.ie this afternoon, states the overwhelming majority of Aer Lingus colleagues “behave in an exemplary manner, and perform their roles impeccably”. “We thank our colleagues for their continued hard work and dedication. However, we are understandably dismayed that there are those that do not behave in an exemplary manner. The unfortunate reality is that a tiny subset of our 4,500 colleagues behave in a manner that falls below the required standard. This is wholly unacceptable for those working in the airline, for management and for our valued guests. The statement goes on to state that the “necessary steps” include the compiling of a data protection impact assessment (DPIA) for its CCTV systems and appropriate signage have been taken to ensure workers rights and personal data is protected. “We have a CCTV policy available to staff that describes data recording, storage and retention and how images can be accessed. Each CCTV installation is reviewed by a cross departmental group of staff (the Information Security Steering Committee). Notification was also provided to staff by an all staff communication and use of CCTV is also covered by our staff privacy notice. The Aer Lingus Leadership team has engaged with staff representatives in relation to this matter over recent months and will continue to work with the representatives in line with best practice,” said the airline. The union reps said they will seek to ensure that the “good name and reputation of union members and all workers in Aer Lingus are protected and fully vindicated from any such outrageous claims, as published”. A statement from the union called on Aer Lingus management to provide evidence as to whether there is any basis to claims made about missing stock. 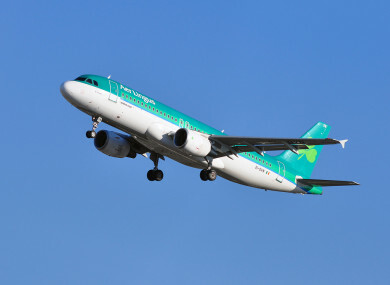 Members in the Aer Lingus Group of Unions, which is mandated by the Irish Congress of Trade Unions, have also been consulted over the weekend, and have expressed their concern at the published claims. The union said it will make no further public comment on the issues reported until it consults with union members in the airline as well as senior management of the company. Email “Aer Lingus 'dismayed' at 'small subset' of staff who do not behave in an exemplary manner”. Feedback on “Aer Lingus 'dismayed' at 'small subset' of staff who do not behave in an exemplary manner”.